Healthcare as a % of overall employment. Health care industry includes both healthcare and social assistance sub-industries. Source: JobsEQ, Chmura Economic and Analytics, 3rd quarter 2017. U.S Bureau of Labor Statistics, Quarterly Census of Employment and Wages. Healthcare industry employment included using the 2-digit NAICS code 62 which includes the healthcare and social assistance sub-industries. The healthcare industry is a high skilled, high wage sector of the economy. It is the largest and fastest growing industry in the nation and with an aging population it is expected to be the highest growth industry in the foreseeable future. 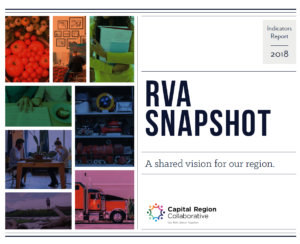 In the Richmond Region, this statistic decreased from 14.7% to 14% since 1st quarter 2015.